And here I am not referring to countries in Southern Asia, but to independent video game developers such as Playdead, the creators of the best-selling Limbo. The Indie scene is a breeding ground for original ideas and has produced a few great games with a retro vibe. 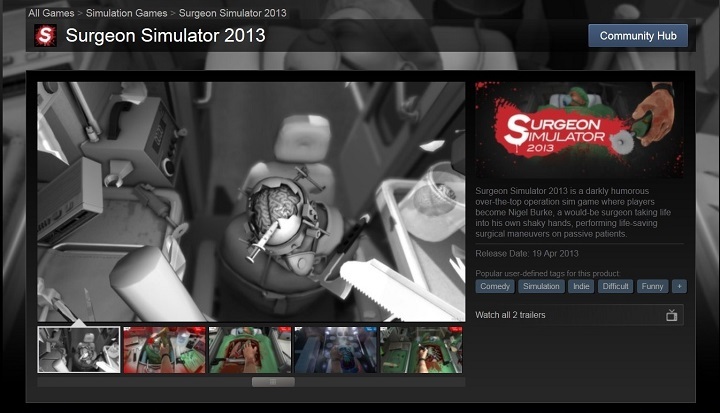 But indie games such as Surgeon Simulator tend to be contrived and boring, and little more than an original curiosity that won’t keep you away from AAA titles such as the latest Assassin’s Creed. So while you get a feeling of satisfaction for having helped the small guys of the video game ecosystem, you won’t get much enjoyment out of it.